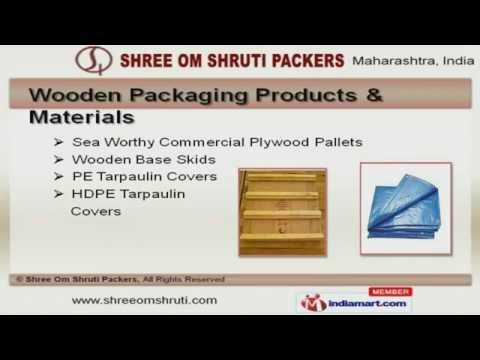 Welcome to Shree Om Shruti Packers, Manufacturer and Supplier of Wooden Boxes, Pallets and Crates. The company was incorporated in 2005 at Pune. Our Stringent quality checks and Customer centric approach help us to achieve a present repute in the market. Superior quality products, Timely delivery schedules and Ethical business practices are the factors that help us to stay ahead of our competitors. We offer a wide array of Wooden Pallets, Wooden Boxes and Euro Pallets. Our Wooden Pallets, Plywood Boxes and Crates are best in the industry amongst the others. We also provide wooden packaging products and materials that are cost effective. we are highly institutional in presenting a widely wooden boxes & Euro pallets that are ex termly reliable. we are leading for engaged in wood pallet boxes & silica Gels that are highly efficient. our organization is specialized in qualitative range of VCI Convers Bags & Film Rolls that are class a part.